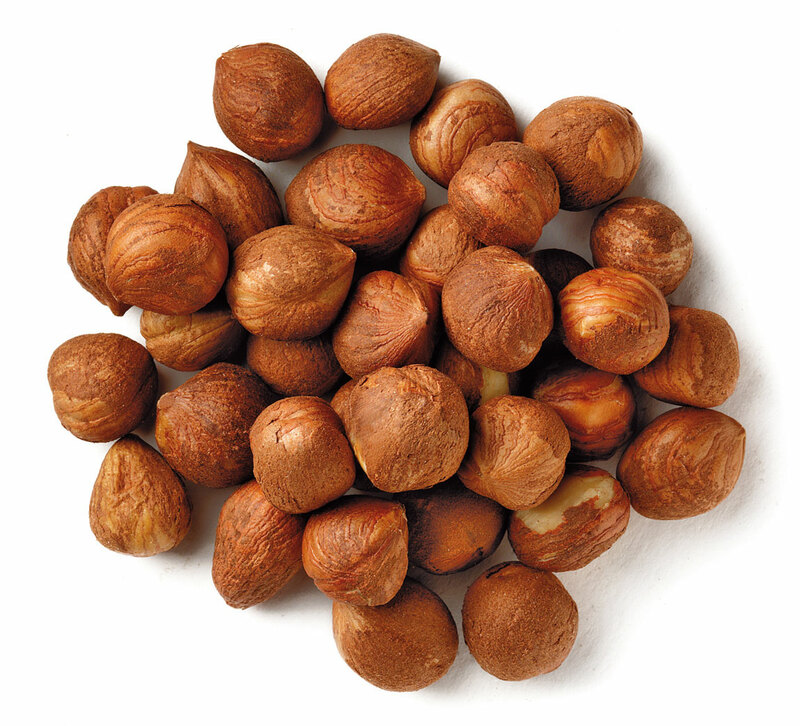 Hazelnuts… one of my favorite nuts! To begin with, there are between 14-18 species in the Corylus genus, depending on the botanist. All of the Corylus species are technically in the Corylaceae Family which many modern botanists are calling the Hazel family. Therefore all Corylus species produce “hazelnuts” in a general term. The name “hazel” likely comes from the Anglo-Saxon word haesel which means bonnet or head-dress. This describes the shape of the shell surrounding the nut. It is unlikely describing the color of the nut. Many hundreds of years ago, the hazel species in Britain were given the common name “filbert”. Species that were discovered by British botanists in later years were often given the common name filbert if they were a shrub and hazel if they were a tree. So where did the name “filbert” come from? There are two possible reasons for this name. The first is that the nuts mature around 22 August, a.k.a. St. Philibert’s Day (Saint Philibert of Jumieges was a French monk). The second reason is that the husked shell of a hazelnut resembles a beard, and the German word for “full beard” is vollbart. Over time, with English influences, this word may have became “filbert”. However, no one is really sure which the real origin of the name is. With all that said, any Corylus species that have the common name “filbert” (i.e. European Filberts, Common Filbert, etc.) produce filberts, but they technically are all hazelnuts. 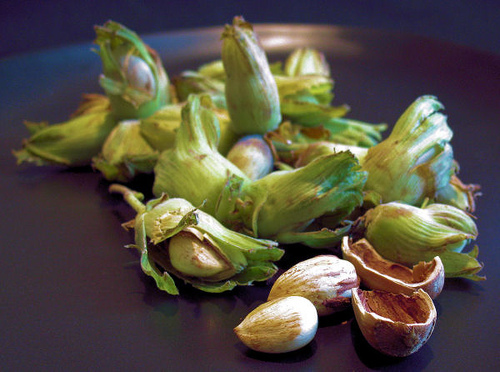 Kentish Cobnuts… fresh and ready to eat. Now to further confuse the issue, some varieties of hazels grown in Britain are called “cobnuts”. This was based on a game kids used to play with the nuts where the winning nut was called the cob. Most cobnuts are cultivars of a variety named Kentish Cob. Cobnuts are also unique in that they are typically sold fresh, not dried. This gives the nuts a seasonal market and unique culinary uses. To be complete in my explanation, some will say that filberts are longer and thinner, and non-filberts are shorter and more round. This is sometimes true, but is often based on species and varieties/cultivars. 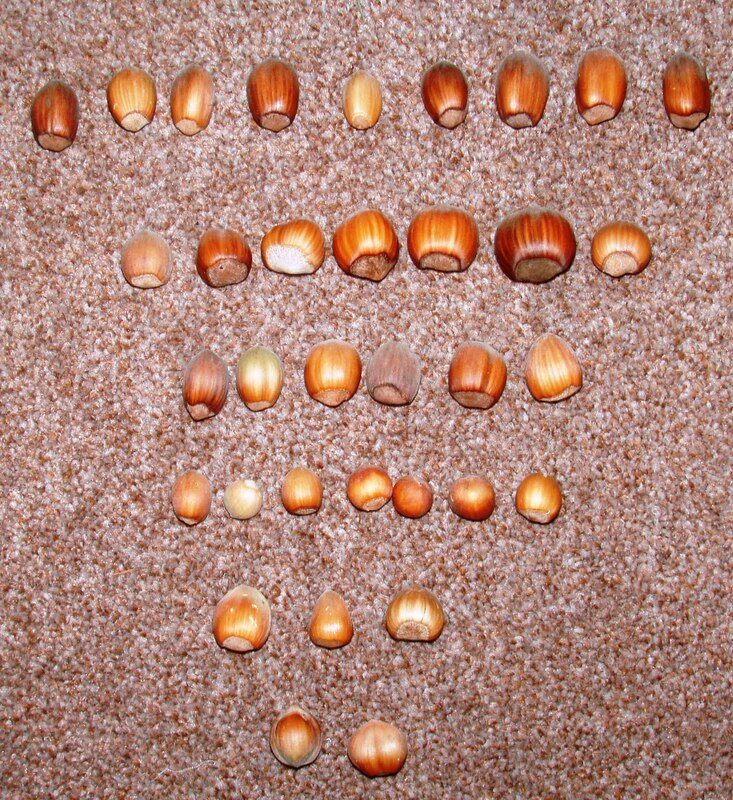 A selection of nuts from an unspecified and unnamed group of British trees. Finally, what really throws this whole naming scheme off is that people have regional preferences for what they call the nut from Corylus species. If you are in eastern North America, they may be called either filberts or hazelnuts depending on your family history. If you are in the Pacific Northwest, they are filberts to the older generation; the younger generation knows them as hazelnuts thanks to marketing starting in 1981. If you are in England or Europe, you probably call then filberts unless you specifically are speaking about cobnuts. 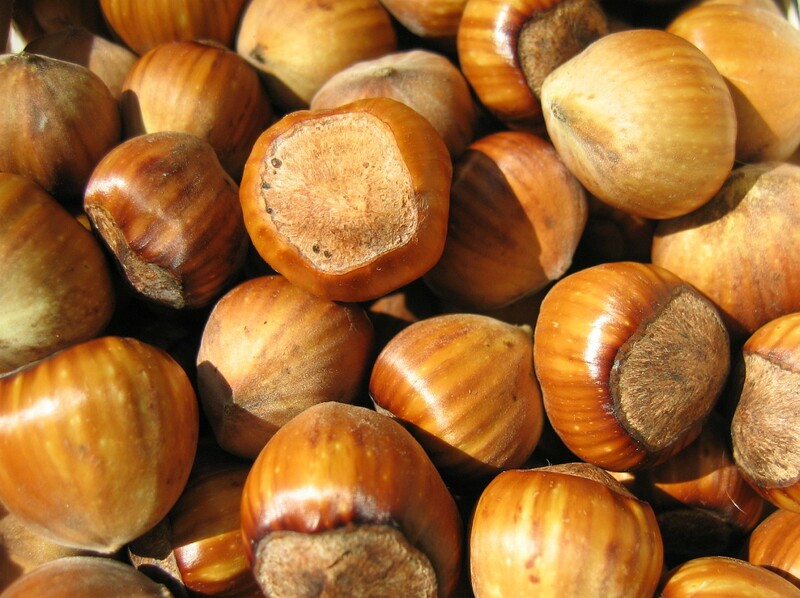 If you are in Turkey, you probably call them hazelnuts. Of course, in Asia the local names are completely different. So there you have it. In the end, I don’t really care what they are called. These are just one of my favorite nuts! Stay tuned for more information about growing Hazels. Previous Eastern Filbert Blight. What is it and what do we do about it? Next How Will Genetics Feed the World?